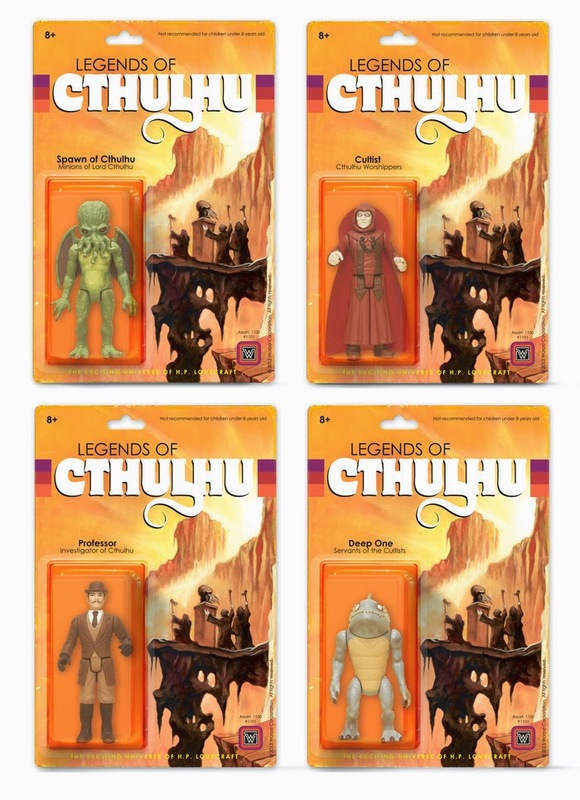 Unless you've been hiding under a rock for the past few weeks, you've surely heard about the new Legends of Cthulhu retro styled action figures that are lighting up Kickstarter. An awesome new company called Warpo has created a great H.P. Lovecraft inspired toyline that perfectly captures the aesthetic of the action figures of the late 1970's and very early 1980's (think Kenner's Star Wars or Mattel's Clash of the Titans) along with the cool extra stuff that went along with marketing pushes back then such as slushie cups, coloring books, and commercials.  The Kickstarter project is doing amazingly well as it reached its $60,000 funding goal rather quickly and is now trucking along towards the $110,000 mark as of this writing. As of this interview, the project had already unlocked two and they've hinted at the possibility of a series 2. Once the campaign hits $140,000, an action figure of Providence himself, H.P. 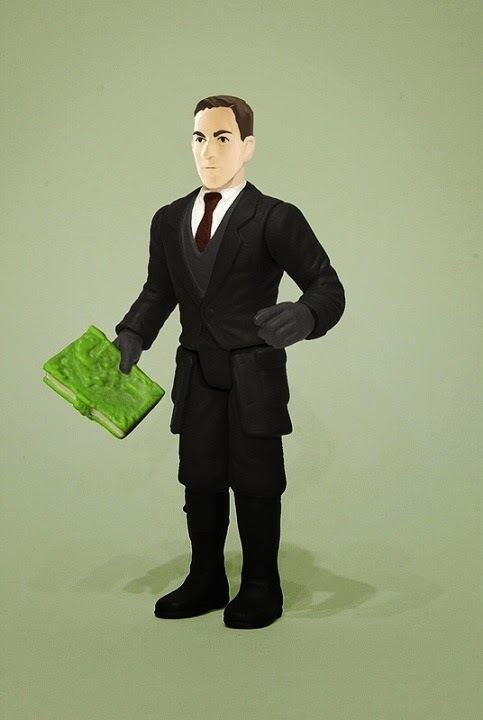 Lovecraft, will be unlocked, while at $200,000 backers will be able to purchase an extra giant Cthulhu figure! Barbecue17: Your Legends of Cthulhu line that is being funded through Kickstarter seems to be a massive success so far. How quickly did this line get funded and were you surprised by how receptive collectors were to your project? Bryan Katzel: We reached our goal in less than 72 hours and I'd have to say we had a mixed feeling of surprise. Of course we understood our market, have been a part of the collector community, and really did our research on other kickstarters and similar product lines... but we always tried to stay cautiously optimistic. There was a lot of time and money invested and we couldn't afford to sit back and be content with just "knowing that collectors will love it"... We made sure we did everything we could to make an unforgettable experience that collectors had to love. 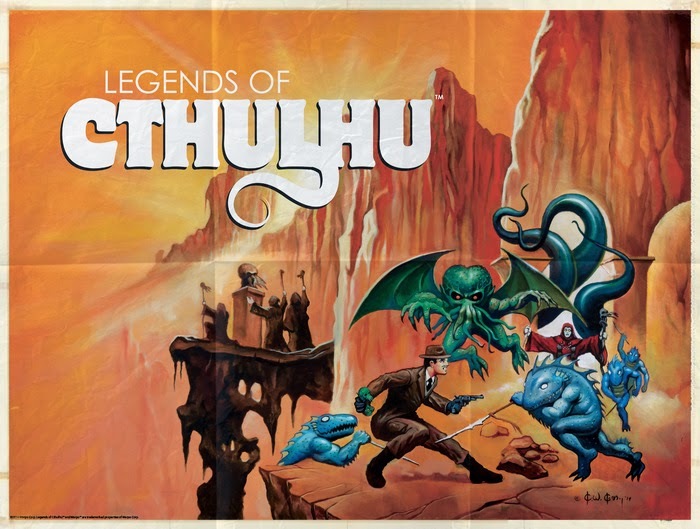 We were definitely happy (and relieved) when we saw the community as excited about Legends of Cthulhu as we were. BBQ17: At what point did you realize that this line was going to be a hit? Before the campaign even started, when you reached funding so quickly, or has it even sunk in yet? Bryan: We really started to get a glimpse into the future as we started to reach out to people to work with on the project and they all were so receptive and willing to work with us - beyond what I'd experienced promoting other toys or product lines. And when finally submitted the Kickstarter, we received very encouraging remarks from the reviewer and their internal staff... I think we really started to believe that this campaign could take off at this point but there was still so much more to do (and there still is so much to do) that we had to keep everyone in check with both feet planted firmly on the ground. 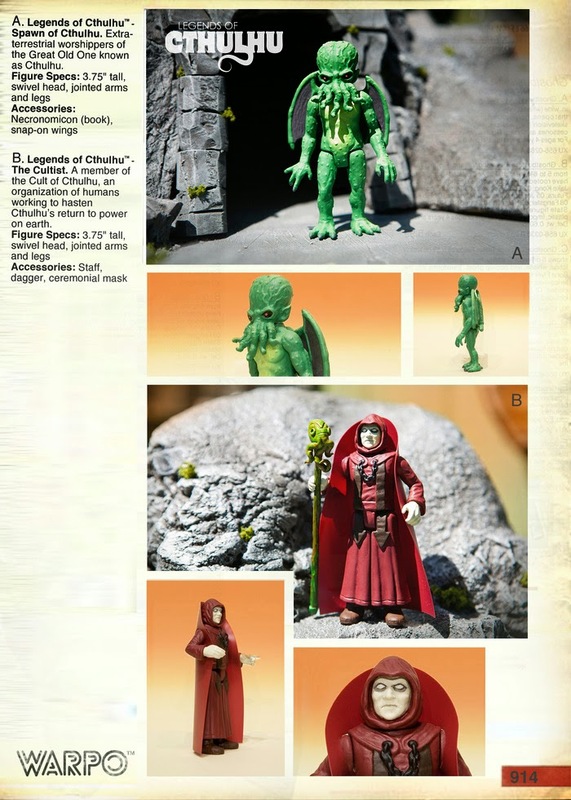 BBQ17: With Legends of Cthulhu, you've chosen to go with a design aesthetic that makes these figures look as if they were released at a very specific point in time (the late 1970's, post Kenner's Star Wars line); what led you to decide this was the direction to go in? Bryan: Really for two reasons - this seemed to be the prime resurgence period of H.P. Lovecraft into modern culture and also our team has a true love for this era of figures. 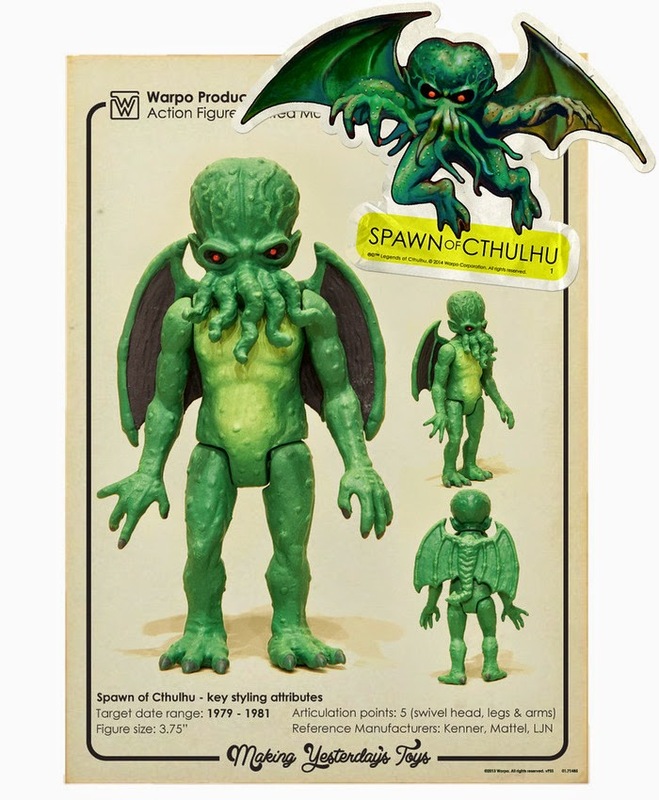 We know and understand the collector community of this era of collectables and also there was no figure or line of action figures for Cthulhu, and providing something new but familiar to collectors was important to us. BBQ17: While the trend over the past five to seven years have been to remake vintage toys with today's technology (G.I. Joe 25th Anniversary, Star Wars: The Vintage Collection, Masters of the Universe Classics), we're starting to see a shift towards creating truly retro styled action figures. Some collectors love this while others see it as taking steps backwards. What do you think the appeal of this style is and why is it catching on with collectors? Bryan: The appeal definitely seems nostalgic. Certainly action figure collecting and especially appreciation for previous era's toys has been building over the past 10 years or so. The size or specific design features symbolize not just a design aesthetic but also a style of story telling that's pretty much extinct in this modern era of toys. I think the approach of most toy companies making retro toys is to remake things that had already been made or to try to shoehorn it into a current property or with current features that really don't make sense with the vintage styling. That's what had always been confusing to WARPO and why we were so passionate about bringing this company to market. Why can't we tell new stories in old ways? Lots of other products or art mediums do it - why not toys. I agree with collectors trying to be sold yet another 'vintage' Chewbacca, this has been done - and done really well, let's have something new for this "retro figure platform" that people that like to reminisce in that era can experience for the very first time... Like the very first time. BBQ17:. To truly capture the style of era when we saw birth of the 3 3/4 action figure, you guys truly found some excellent talent. 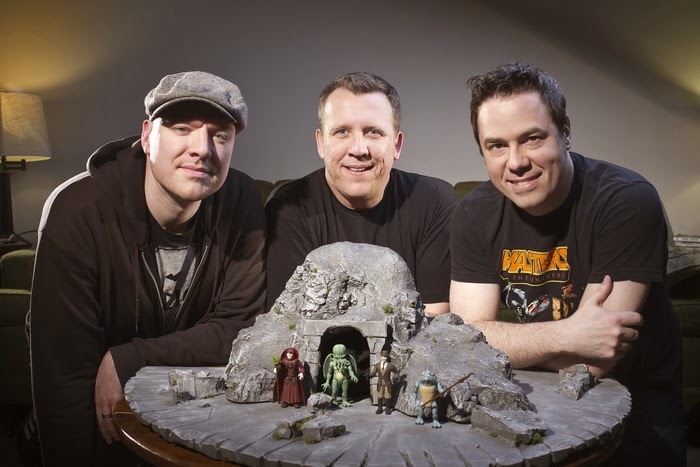 How did you decide on Eddy Mosqueda and Ken Kelly to handle elements of design and art? Bryan: There are so many factors that led us to working with those guys. First, they're both amazing artists. Second, they both still work traditionally - Eddy still sculpts everything by hand and Ken paints with oil on canvas. Both are skills that most artists have forgone to focus on digitally rendering art. Also, both artists had created such iconic pieces in the toy world - Eddy with TMNT and MOTU and Ken with his Micronaut pieces, that killer Tiamat painting he did for LJN and of course all those great KISS covers. 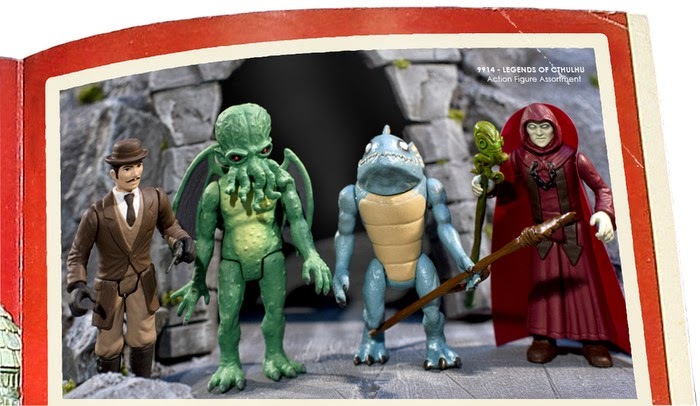 BBQ17: I feel like one of the most unique things you've done to really cement this line as a late 70's/ early 80's toyline existing in an alternate timeline is to create extra products like the Cthulhu cup and coloring book. What extra element are you most proud of? Bryan: Probably the coloring book. There's something so nostalgic about that piece and also so significant to that era. I feel like it really cemented the audience into believing that this line came from 35 years ago. You don't see those coloring books too much anymore with major toy lines but they were such an important piece of the puzzle when we were growing up. We only had so many sources to learn all about our beloved characters and to see images of them and the coloring book was filled with tons of great line art and little vignettes that gave us a little bit of a wider view into that world. BBQ17: Is there something extra you really wanted to offer in this campaign but just couldn't this time around? I'm thinking an old school board game would have been perfect! Bryan: Funny you say that because board games are definitely on our radar... But yes, of course there's tons of things that we would have lived to include but didn't want to take too much of the focus away from the action figure line. We really tried our hardest to envision this as a full scale roll out for a major toy company so the brainstorm contained the full gamut: bed sheets and curtains, waste cans, animation and comics books... The list goes on and on. But in the end I think we really put out a great offering within our team's capability and to really give our supporters a full experience. BBQ17: I don't expect you to spill all the beans, but I do have a question: From what has been revealed of the mysterious $200,000 stretch goal add-on item, would I be correct in hoping for some Inhumanoids influence on the toy? Bryan: Man, what a great line, right? 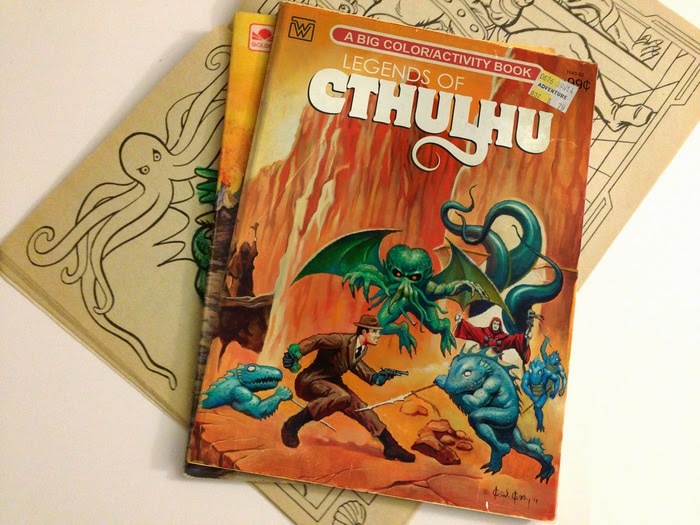 So by this time I'm sure you've seen the concept drawings for our 12" Great Old One - Cthulhu... This has been the number one "we wish" item since we conceited the line. We've always pictured it as being somewhere between the Kraken from CotT and the Rancor. It was the whole reason we named move forward with making our 3.75" figure the (Star) Spawn of Cthulhu. 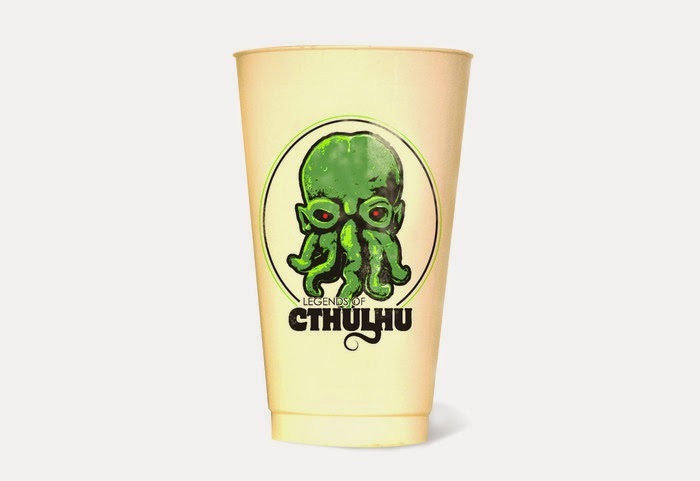 We're really putting as much effort as we can to reach this goal because we feel the dynamic of the line will greatly change with the addition of this king size Cthulhu... The mythos is totally deserving of it. BBQ17: Last question: Looking at the Legends of Cthulhu line, I'm already starting to think of some action figures I'd like to display along these such as the vintage Emperor Palpatine, the FunKo Reaction Gentleman from Buffy the Vampire Slayer, and Kenner's Indiana Jones, Belloq, and Toht. 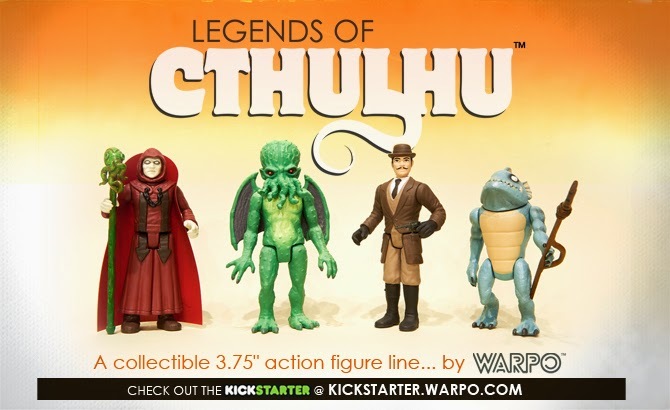 What action figures are you just dying to display alongside your Legends of Cthulhu toys? Bryan: Great question - I see them sitting right in line with all my favorites from the era: Beastman from Flash Gordon, Indiana Jones and Toht, Ovion, Warduke, Calibos and Ogeode from Crystar. Many thanks to Bryan Katzel from Warpo for taking some time to answer our questions and for making what I'm expecting is going to be one of the greatest toylines of the year! 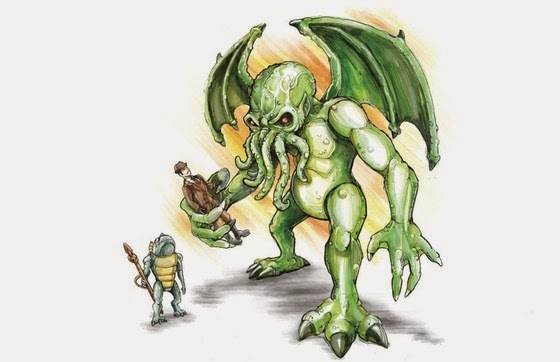 If you haven't already, head on over to the Legends of Cthulhu Kickstarter page and make sure to back this line and tell others about it: The world needs the most robust Cthulhu themed toyline that it can get! And remember... ph'nglui mglw'nafh Cthulhu R'lyeh wgah'nagl fhtagn!